We’d love your help. Let us know what’s wrong with this preview of Time and Anthony Braxton by Stuart Broomer. 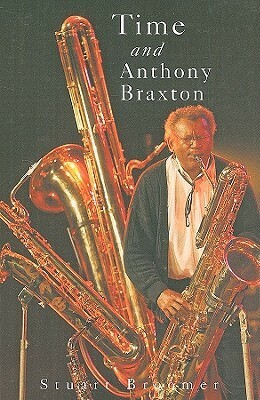 Anthony Braxton may be the greatest creative force in contemporary music and one of the most controversial. In a 40-year career, he has reinterpreted most of the jazz repertoire while composing at the pace of Bach or Mozart. A musical futurist projecting multiple orchestras playing on different planets, Braxton has played duets with bop pioneer Max Roach, conducted his own opra and composed for 100 tubas. In time and Authony Braxton, Stuart Broomer looks insistently at time, whether in the shape of jazz history, time's relationship to pitch, or the unique ways in which Braxton constructs the musical moment. In approaching the dense weave of Braxton's musical thought, Broomer touches on Nicola Tesla, St. Augustine of Hippo, Ezra Pound and Frankie Lymon and the Teenageres. To ask other readers questions about Time and Anthony Braxton, please sign up.